On the occasion of the tenth anniversary of Ventana Sur, the San Sebastian Film Festival and Ventana Sur launch a new collaboration project in the framework of the Europe-Latin America Co-Production Forum. This new activity will feature the participation of six Latin American projects, all fiction works never screened before, selected jointly by the San Sebastian Film Festival and Ventana Sur and to be presented by their producers in Ventana Sur. Besides the aforementioned will be European producers invited in the framework of “Forjando Alianzas”. The new activity will consist of pitching the projects to industry professionals, followed by a meeting between the project representatives and the participating professionals. 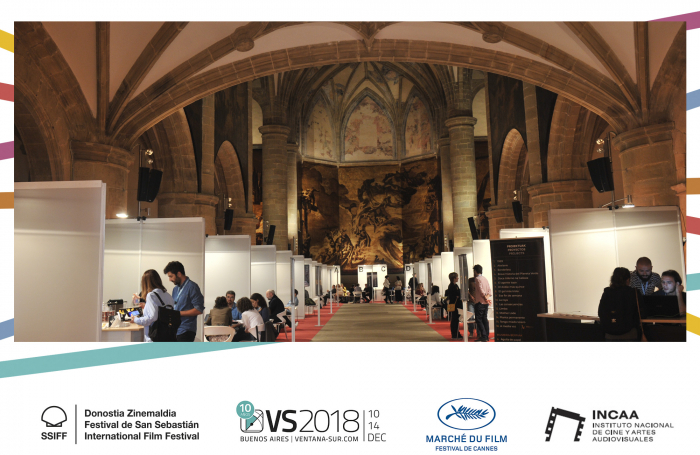 This new agreement therefore increases the collaboration with Ventana Sur, a market promoted by Argentina’s Instituto Nacional de Cine y Artes Audiovisuales, and the Cannes Festival’s Marché du Film, as strategic partners for the Latin American and European film industries. The San Sebastian Film Festival’s Europe-Latin America Co-Production Forum, running on September 23, 24, 25, and 26 at the San Telmo Museum, focusses on projects in development from Europe and Latin America. The next edition of Ventana Sur will take place from December 10-14.